Not with Lily. This compact drone will automatically follow you around and shoot video without any manual assistance. Lilly flies by simply tossing in the air. It detects fall and kicks into life instantly. It will then follow you around and shoot video for up to 20 minutes on a full charge. 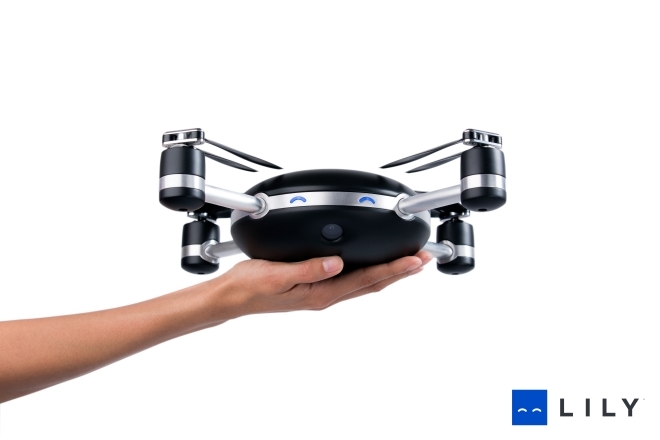 Lily requires the help of the wireless control module that needs to be on you for Lily to follow you around. The control module also has buttons to access basic functions of Lily, like the shooting modes it is capable of. 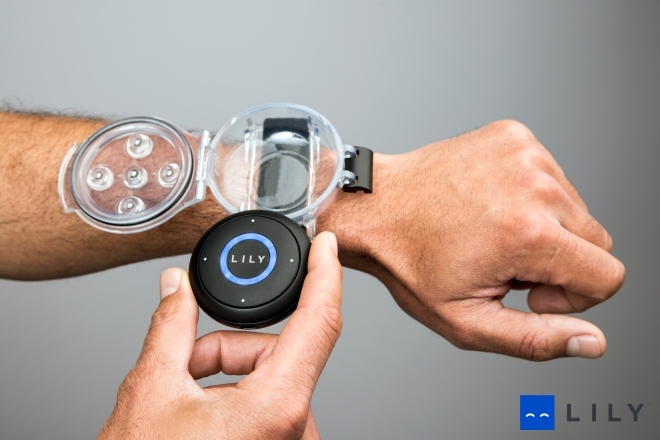 The module is small and can be attached to the wrist using the waterproof strap they provide. Speaking of waterproof, Lily itself is waterproof but it’s not recommended you try to fly it underwater (because it won’t). Once in air, it can record 1080p video in 60fps or slow motion 720p videos in 120 fps. You can also take 12 megapixel still images. It has a microSD card slot for storing videos and photos. Lily can fly to a height of 50 feet, and can fly at up to 40 km/h top speed. It can go as far as 100 feet from the tracking device. It has an accelerometer, gyroscope, magnetometer, barometer, GPS, and front and bottom facing cameras. It has digital gimballing to keep itself steady all the time with image stabilization. It can interact with your phone through an app and show you a low resolution live feed on it. Lily is still in the pre-order phase, where the creators need support to actually make these. For your $499, which is the asking price of this device, you get yourself one and also help support the company. You can pre-order it now from their website, which allows international shipping.